An event dedicated to the 67th anniversary of victory against fascism will be held by the “Alm.az” Society in Dresden, Germany, on Wednesday. 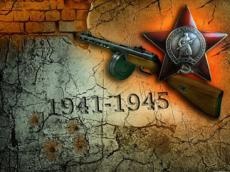 The participants will lay a wreath at a monument of the Unknown Soviet Soldier. The event will also feature a remembrance of Azerbaijani heroes, including Mehdi Huseynzadeh, Hazi Aslanov, Gafur Mammadov.